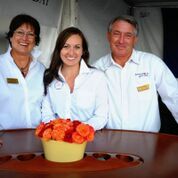 AYS Director of Operations Kate Dawson, with her Parents, former owners of the Brokerage. Make sure you stick around until the end, we have a special treat for you, an older song called The Ocean, by Central PeeYaaa musician Adam Kowalczyk, newly of the band Alow. Please stop by our Links and Affiliates Page on the header above to see our friends and get some deals!